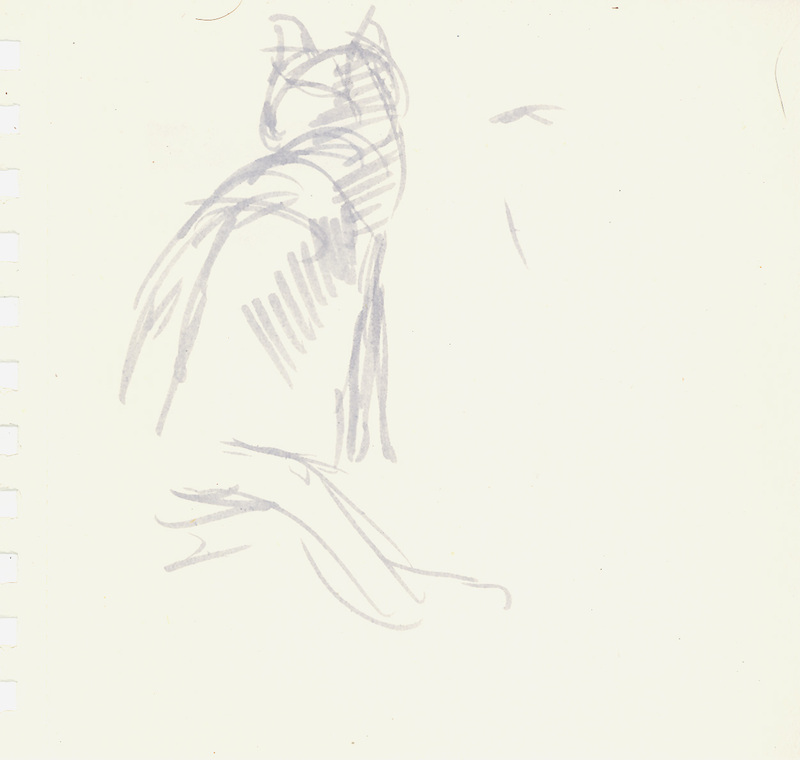 Drawing a friend’s cat on a stone retaining wall reminded me to look for the gestures in nature. Sometimes you only have seconds to respond. This entry was posted in Summer Diary and tagged Art. Bookmark the permalink. you can draw my kitty on my driveway anytime 🙂 ….. hope you’re having a most ‘amazing’ sabbatical! Thanks, Danita. We packed up the SUV with easels and (probably too much) equipment today. Driving up to an area near the Allegheny Forest (Pennsylvania) in the morning. Sketching the cat and the garden was a nice warm up this afternoon. Looking forward to the woods and streams Monday, Tuesday and Wednesday! Love the way a few simple lines convey the cat.